Interested and Eligible candidates can apply on line through the wbsite www.coconutboard.nic.in on or before 25/09/2017. The age of the Candidates maximum age limit should be 35 years. Candidates should have Degree in this Recruitment process they must have passed Masters Degree in Journalism or Bachelors Degree in any subject, PG Diploma in Journalism/ Mass Communication/ Public Relations, working knowledge in English & Malayalam. certificates on Venue 01-10-2015 at 10:30 am. 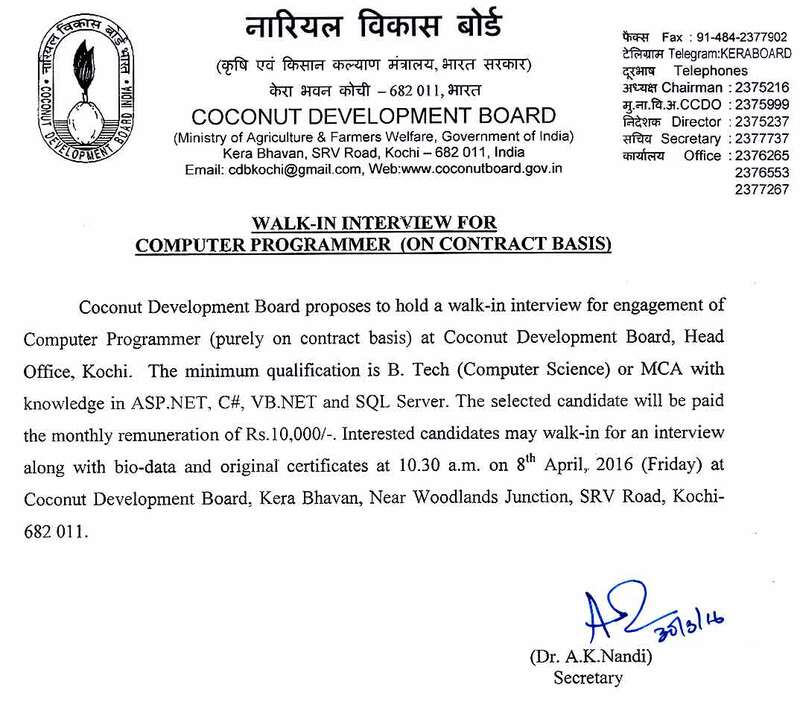 Date & Time of Interview: 01-10-2015 at 10:30 am. Candidates should have Degree in this Recruitment process they must have passed 12th class and NCVT certificate in stonography (English). Venue: Coconut Development Board, Kera Bhavan, Near Woodland Junction, SRV Road, Kochi-682011. 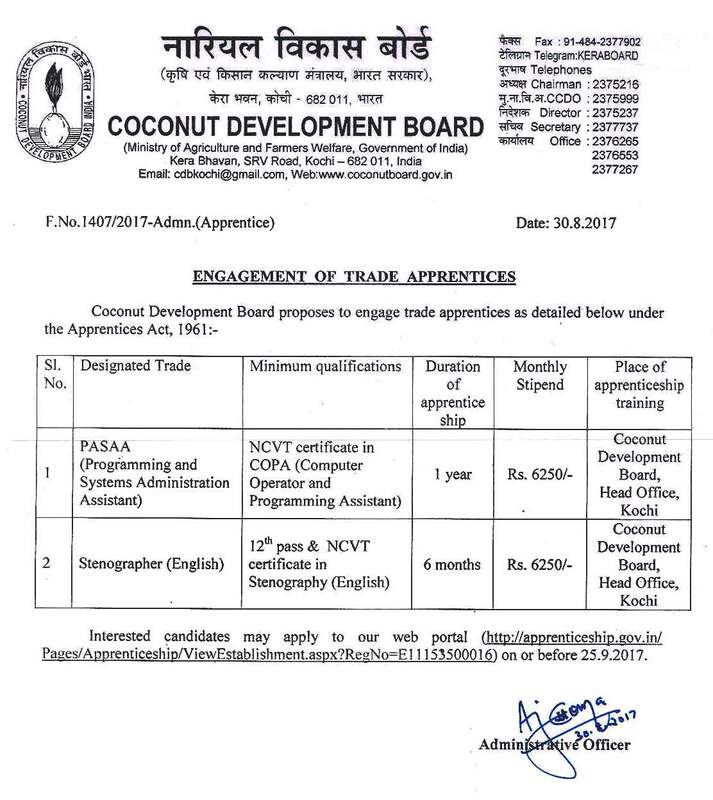 0 Response to "CDB Kochi jobs | नारियल विकास बोर्ड Recruitment 2017-18 for Trade Apprentice Vacancy "